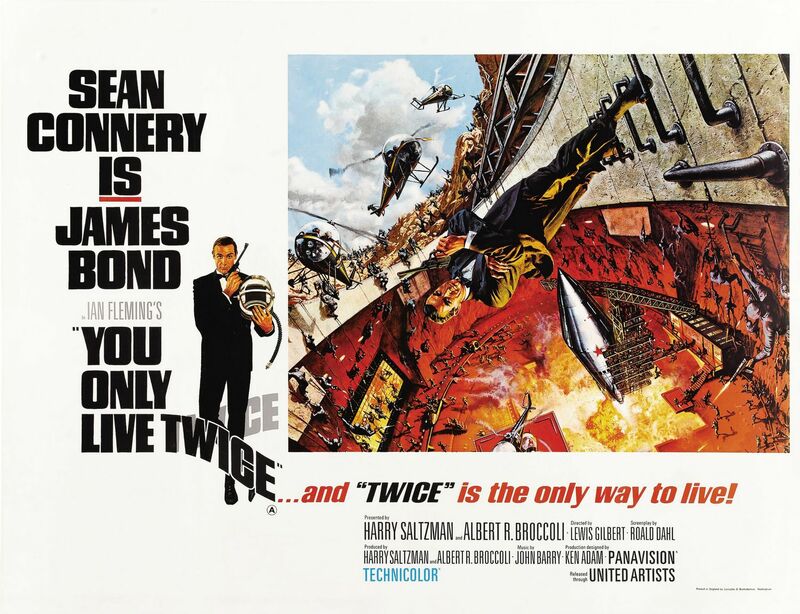 For today’s 3rd and final review of You Only Live Twice (1967), here’s what I thought of it. Brief Synopsis – Bond fakes his own death in order to infiltrate a Japanese company that seems to be a front for SPECTRE’s plan to start WWIII between the Russians and Americans. My Take on it – In Sean Connery’s final film during his first (of 3) runs as Bond, he once again brings us everything that we expect from this kind of movie. This movie is filled with thrills including ninjas of “old” and “modern” ninjas. This was a way to blend machine guns with throwing stars to give us more of a “feel” of the Orient. The choice of villain this time out was an interesting one; we have both Blofeld (played by Donald Pleasance) playing a much larger part than he has in the past (which he was great at) and one of his top Henchmen, Osato also leading the fight against Bond. I actually liked how Blofeld was more in the forefront here and that they finally showed his face and gave him something to do besides delivering orders to his henchmen to get rid of Bond. The whole space sub-plot was also interesting because of the way they presented once again SPECTRE trying to pit the superpowers against one another. Bottom Line – Typical Bond film that gives us everything we’d expect from 007; thrills, girls, one-liners and of course an evil villain trying to take over the world. Pleasance is a great Blofeld despite most of his planning being behind the scenes. Recommended! Great review, I’ve always loved the score to this movie. I suppose that can’t be helped considering how iconic and memorable a piece of music it is. What’s your favourite song from the Bond movies? Great choices, mine are probably Goldfinger and You Only Live Twice. do u have a least fav? I wasn’t the biggest fan of Another Way to Die from Quantum of Solace.